Mixpad master's edition is a music mixing multitrack recording studio software created for professional music production. With mixpad music mixer you can mix an unlimited number of music, vocal and audio tracks with support for more formats than any other mixer. Simply drag and drop your tracks in or record your own tracks. 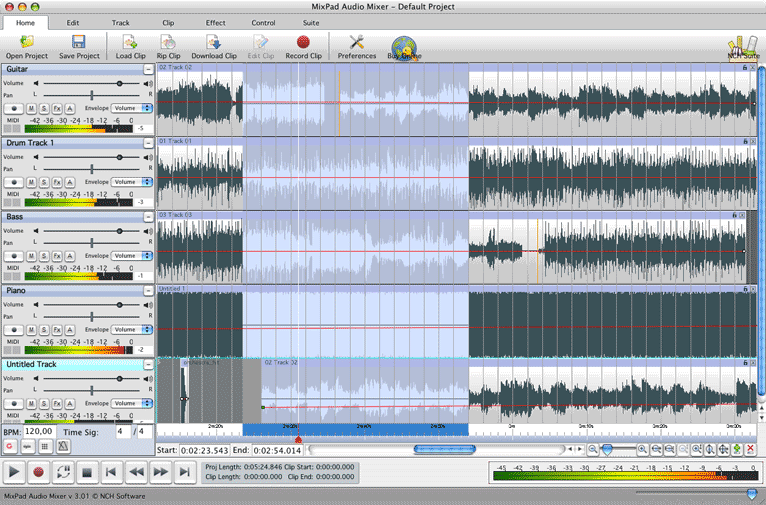 Edit your tracks and by using trim, silence, merge and many other editing tools. Use id tag to track the details of your music. If you're looking for additional sounds, pull audio from the nch sound library. Add audio effects including eq, compression, reverb and more. Make your sounds more interesting by applying fun interesting effect. Create your own midis and beats directly in mixpad. Stay organized and make quick references using bookmarks. Mix to mp3, burn to cd or seamlessly upload your audio to soundcloud through mixpad. MixPad Pro for Mac is an utility that works under . Estimated download time for MixPad Pro for Mac on a common adsl connection is less than a minute. Version 4.39 was released five hundred thirty nine days ago by NCH Software. Click the green download button to download it now.